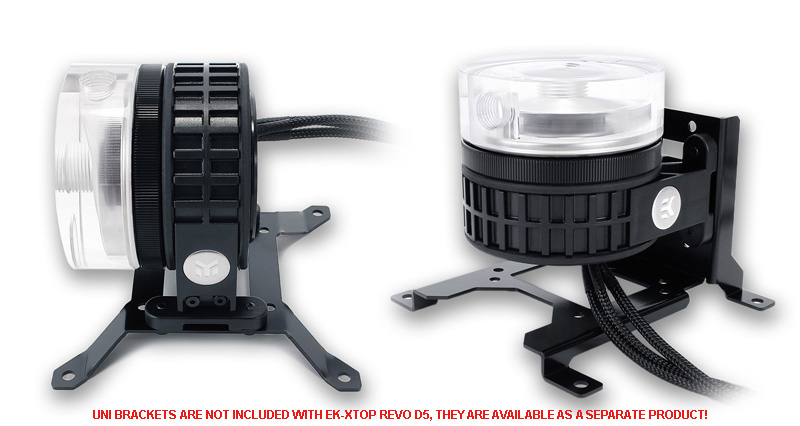 EK-XTOP Revo D5 RGB PWM is a high-performance liquid cooling pump, built around the market-proven Xylem D5 PWM water pump and revolutionary EK-XTOP Revo D5 pump top with an advanced vibration-reducing mounting clamp. 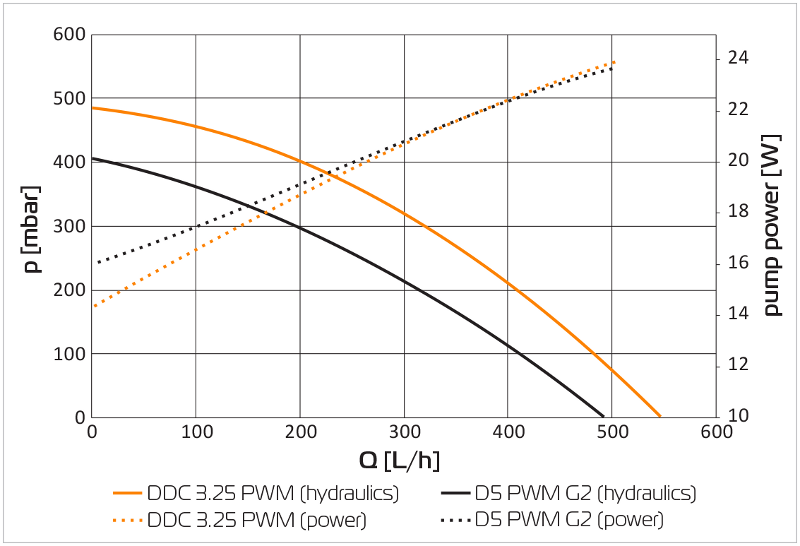 This unit offers increased hydraulic performance (up to 15 %) compared to original factory top and it comes with a pre-installed 4-pin 12V RGB LED strip. This pump features a single inlet- (suction) and outlet port (pressure) for installation of two standard G1/4 threaded fittings/barbs.